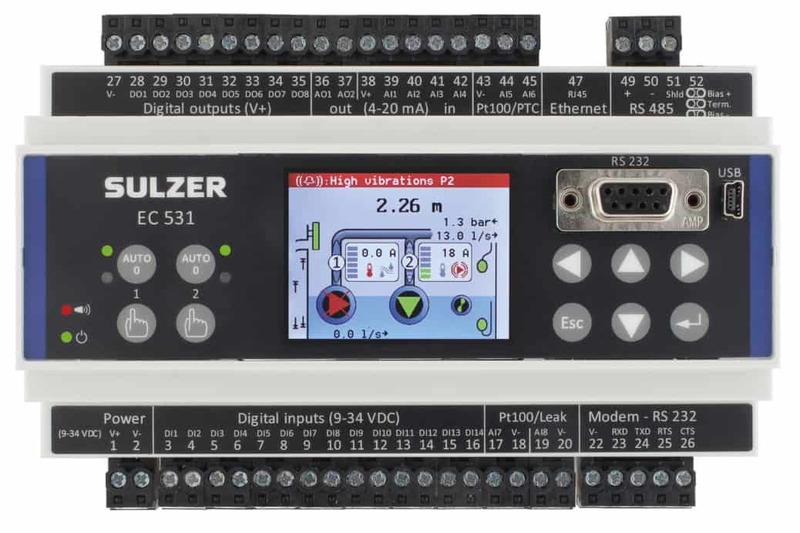 Sulzer has launched the EC 531, its next generation intelligent pump controller for monitoring and controlling a two-pump sewage station. 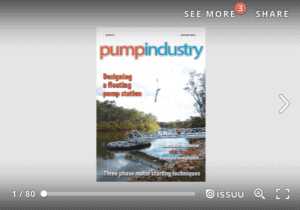 EC 531 is an all-in-one unit for control and monitoring of sewage pump stations with one or two pumps. 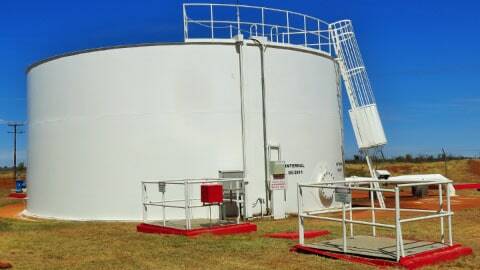 The equipment controller ensures increased efficiency and reliability of municipal pump stations and supports all aspects of the LCC (lifecycle costs) calculations. It offers straightforward control and monitoring via floats or advanced control via a continuous level signal. EC 531 is also equipped with smart VFD control, including PID and BEP, which saves energy and equipment costs. The new equipment controller EC 531 gives instant access to alarms, pump status, level information and trends. It offers functionalities to help monitor the equipment condition as well as to optimise and reduce the risk of overflow, cut down energy costs, etc. This partner content is brought to you by Sulzer. 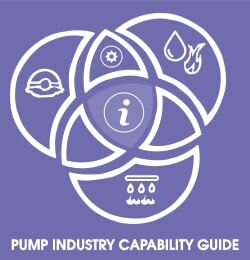 To find out how to save money by installing a Sulzer EC 531 on your existing pump stations, visit www.sulzer.com/ec531.